New Maps, More Explosions, and Improved AI arrive with Beta 2 Today! Exciting Explosions, New Maps, and Improved AI! 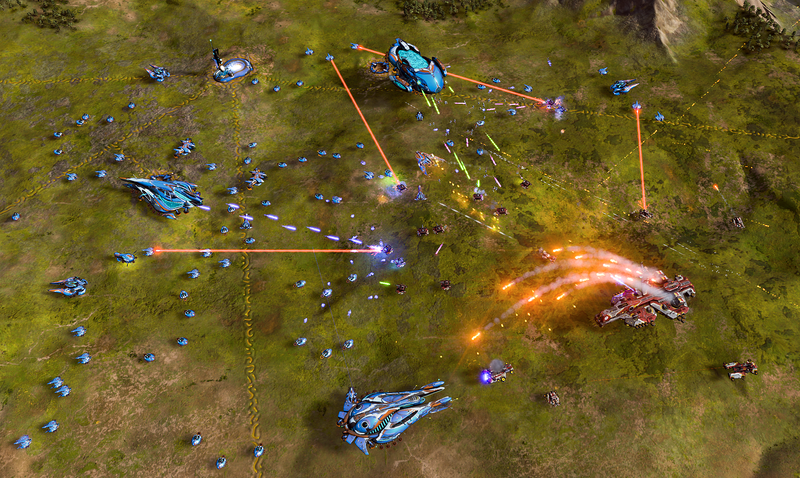 Ashes of the Singularity Beta 2 has arrived and it just keeps getting better! Like explosions? So do we, that's why we've made them bigger. Looking for a variety of maps? No problem, we've added some new ones! Wishing for an improved AI? We've got you covered! With a new Multiplayer season beginning and a host of other improvements and stability fixes, get yourselves revved up for Ashes of the Singularity's Beta 2! We have a lot of exciting things available in Beta 2 that we'd like to share with you! One of the best ways to enjoy Ashes of the Singularity is through custom or ranked multiplayer matches! The Dev Team will be re-setting the global leaderboards on Beta release day and starting with a fresh slate. This will be known as "Season 0" and will last until shortly after the final version of Ashes is released. Do you think you have what it takes to beat the Stardockians? Join us on Fridays from 4pm ET - 6pm ET for ranked and custom matches! We are happy to provide 3 new maps for you to wage war on! Eridon, Pyn, and Cygnus make their debut in Beta 2 - we're sure you'll enjoy exploring the new terrain! The team has been working on improving the game's visuals, which include (but are not limited to) explosions and other weapon effects. Now all of that exciting war playing out on your screen is even more attention-grabbing and flashier than before. Some new ambient musical tracks have been added, along with new tracks for your win/loss screens and new main menu and multiplayer menu music! The team has also added additional sound FX throughout the game. from 4pm - 6pm ET this Friday, February 26th! Hyperion main gun cool down reduced from 6 to 3.2. Annihilator cost reduced to 150 metal. Main menu music is awesome yet again. Game runs smooth. The game seems more colorful. Pause, delete, and pre-built queueing helps gameplay immensely. Start location selection rocks. Very solid improvements, and I haven't even touched multiplayer.